How to Choose Decorative Materials? Home > CAREERS > Knowledge > How to Choose Decorative Materials? Currently, there are a large number of polymer decoration materials on the market. Some of these new decoration materials may bring pollution on indoor air, and some plastic wallpaper distribute persistent and revolting odor. However, the decorative wall paper is environment protection. Some people are even allergic to some polymer materials volatiles, so as to affect mood and appetite, or skin irritation. Although some decoration materials are novel, such as fluorescent materials, they contain radioactive elements, which also have harmful effects on the human body. In fact, hydrogen sulfide, sulfurous acid, and the dilution of decorative coatings have pollution on air. If plastering mortar on the inner wall, its decoration effect is to absorption moisture (when the indoor humidity is high) and release moisture (when the indoor humidity is low and dry) in function, this function is usually called "respiratory function". This "respiration" is very useful in regulating the indoor humidity and air quality. If the interior surface is pasted with this plastic wallpaper, adding a layer of wallpaper glue layer will greatly reduce natural respiration effect. This approach is sacrificing the useful functions of the original interior wall surface in exchange for superficial decorative beauty. At present, the flammability issues of the decorating materials sold in China still lack the necessary standards. We should be particularly careful in the selection of decoration materials. Home improvement is the secondary processing of inner surface of the wall, especially the ceiling material is more easily overlooked its fire hazard. If the material used is not flame retardant, once the fire broke out, home decoration materials will first be lit on fire, so the kitchen roof and interior finishes should try to use inorganic materials. 4. Are the expensive decoration materials necessary? If you use expensive natural marble to decorate the bedroom floor, then function price ratio may be desired. Because natural marble is hard, especially in the cold season in northern China, hard smooth surface makes people feel cold and muscle contraction. For the frail elderly and young children, they are easy to slip when walking on the ground, and they will be psychologically insecure. www.i-decors.com is a professional and experienced in designing, manufacturing and selling all kinds of decorative materials. Our main products are printing papers, melamine papers, finish foil, polyester paper, PU paper etc., product size is from 790mmto 2130mm. 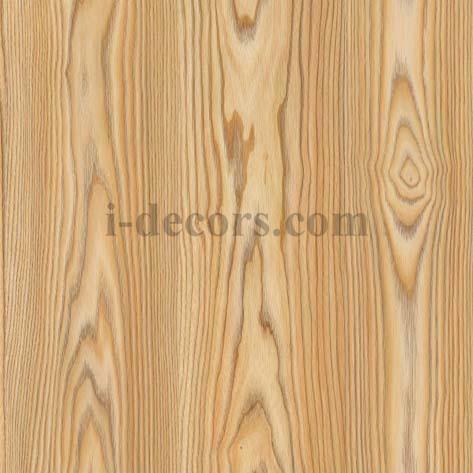 It is widely used for furniture, laminate floor, cabinet, HPL, MDF etc.